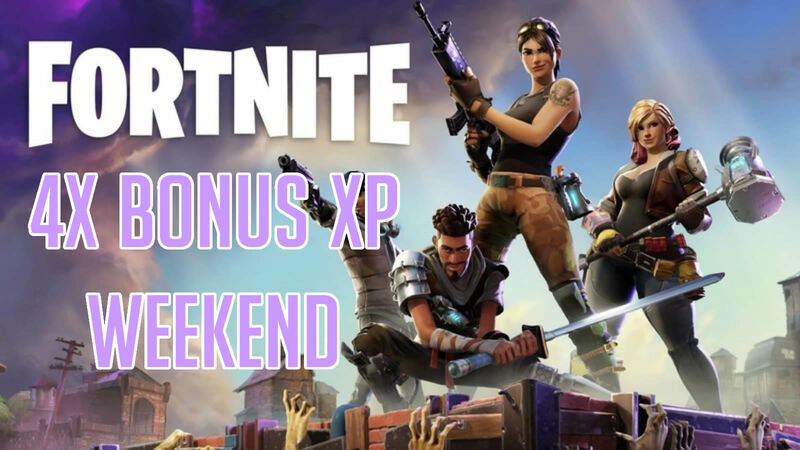 Fortnite Bonus XP Weekend has started today September 21, 2018 and will run until September 24, 2018 at 8:00 AM ET. The bonus XP weekend will help you complete your remaining season 5 battle pass challenges. The bonus XP will give you 400% of your match XP all weekend long. If you are looking to get even more XP don’t forget that when you squad up with other players you are given a team mate multiplayer that allows you to gather even more XP for playing together. With the bonus XP announcement Epic Games have officially announced that Fortnite Season 6 Start Date of September 27, 2018. Take a look at the Fortnite Season 6 Leaks we have gathered so far.